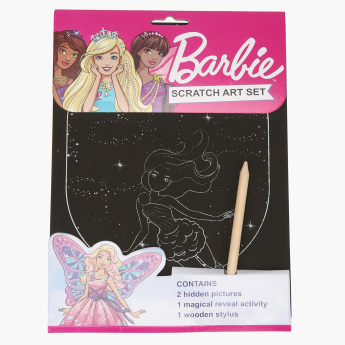 Barbie Scratch Art Set | Multicolour | The Barbie themed scratch art set is a delight for any little girl. 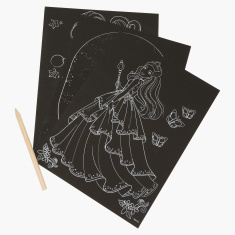 Surprise your little one by getting this scratch art set and add to her delight. It contains two hidden pictures that reveal only when your kid scratches the page and comes as a surprise. 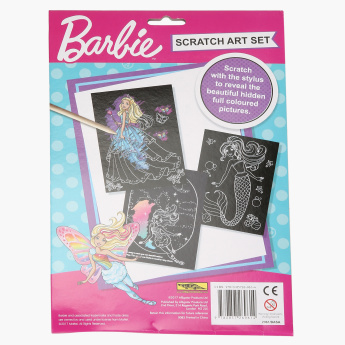 Feature 1 : The Barbie themed scratch art set is a delight for any little girl. Feature 3 : Let your child be surprised and amazed when the pictures magically appear before his eyes.